“I’d rather let a child die, than lose our customs”. These were the words of Universiti Teknologi Mara’s (UiTM) Deputy Chancellor Tan Sri Prof Dr Sahol Hamid Abu Bakar, when asked about the two-year suspension of Muhammad Hasrul Haris Mohd Radzi. The 21-year-old Muhammad Hasrul Haris Mohd Radzi was suspended for 2 years because he took a selfie with the pro chancellor on stage while receiving his certificate. 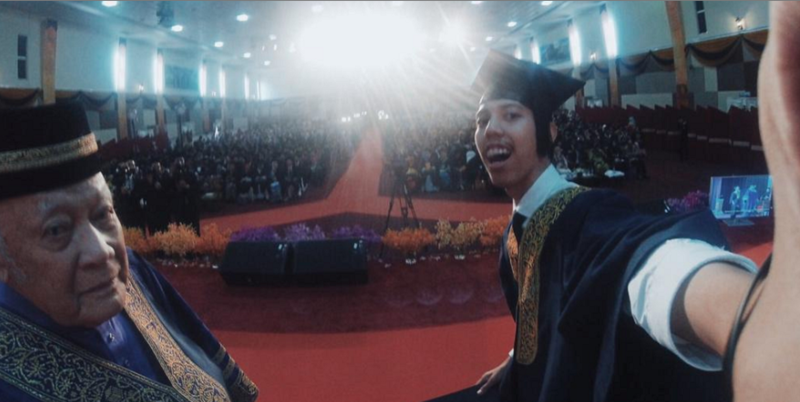 Muhammad Hasrul is a diploma holder in photography and he claims that he couldn’t control his excitement when receiving his certificate, and that’s the reason, he decided to take a selfie with the pro chancellor. While, some people feel that the student’s actions are justified, here are some of the issues I have with the situation. 1. According to Harian Metro, Muhammad Hasrul Haris was sorry for taking the picture but could not control his excitement after receiving his diploma. While I totally understand the idea of being excited at one’s graduation, I don’t feel that the student’s excitement was justified. 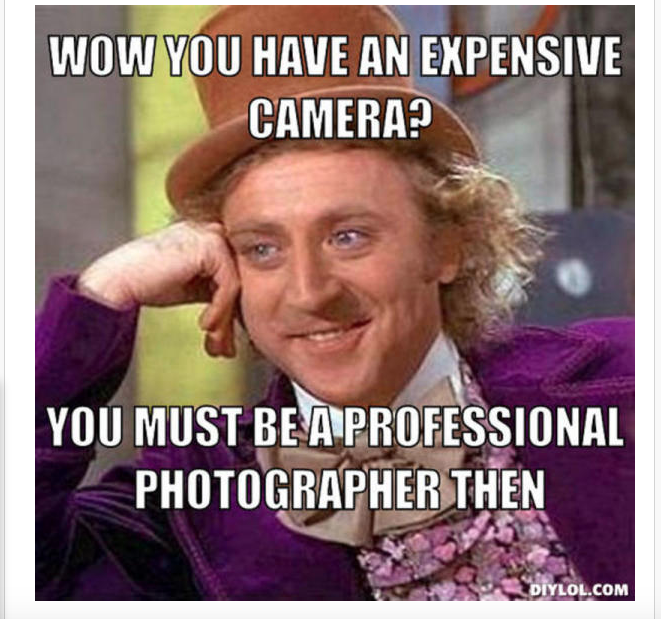 Firstly because he’s just a diploma holder, and secondly, he studied photography. How hard could that be? I’ve used a camera before and I can assure you, it’s not that hard. Thirdly, there are always a bunch of “professional” photographers (some of them without diplomas) that are opposite the stage, whose only job is to take pictures of students as and when they receive the “magical” scroll. I feel that his only job as a student of “photography” was to look right at the camera with a smile on his face while receiving his magical endowment. I mean surely, after two “tough” years of studying photography, one should be aware of how the process of getting a picture taken works? 2. It was also reported in Harian Metro that the student said that he was unaware of the selfie ban by the university. According to Dr Sahol, the students are briefed and given guidelines before entering the hall, and one of the rules include not taking a selfie on stage. Now if the university already briefed the students regarding the issue of selfies prior to the ceremony, and the student was completely unaware of it because he was not paying attention, then I feel the university has every right to dish out a reasonable punishment in order to deter the “disrespectful” behaviour. It’s completely reasonable to do so as even some American universities, according to reuters, have banned the practice in order to stay within the time constraints of the ceremony. Also, seeing as this isn’t the first time this as happened (apparently this incident has happened before and the university had taken the same action against another student), then it shows that the university is consistent in its regulations and have followed through with what it stands for. If the action of taking a selfie on stage during the convocation is so humiliating and tainting to the name of UiTM, then why on earth did the pro chancellor consent to such a request in the first place? He even looked into the camera and he smiled like old people do. You can’t agree to take a selfie with a person and then, proceed to punish them after a few minutes. It doesn’t quite make sense. I feel that the only righteous thing that the university could do in such a circumstance was to expel him and let him drive off into the sunset (into unemployment, really) with a DSLR in one hand and a diploma in the other. Even as much as the whole situation troubles me, I feel that the imperative of understanding the rules and customs of a particular place falls on the citizens or residents of that place. One should be aware that they could be hung for possessing marijuana in Malaysia, similarly, one should also be aware that you could be sent on an exile for 2 years if you choose to take a selfie on stage at UiTM. Was this consequence not made clear before the ceremony? Or was the student just not paying attention to the university when the rules and guidelines were being announced? Or UiTM could simply put someone on stage at the next graduation ceremony, whose sole job would be to tell people not to take selfies? I mean, better do that as a step of precaution to protect the customs than letting a child die, right? Update: According to the an article by Rakyat Post, Mohamad Qusyairie Mokhtar, the head of the UiTM Alor Gajah campus Student’s Representative Council (SRC) has clarified that the student was not suspended as he has already graduated his course. The student was only asked to apologise for disrupting the graduation ceremony. However the author’s views about the 3 issues discussed in this article still stands.